Standing by the Riddle Cabin at the South Fork Nature Center, Don Richardson and Don Culwell of the Gates Rogers Foundation’s Board, provided a history of the Center as well as future plans. 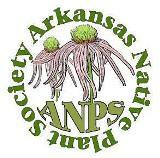 The Arkansas Native Plant Society field trip, organized by Brent Baker, occurred on May 19th. Brent helped with a vascular plant inventory for the site which was conducted in 2005. 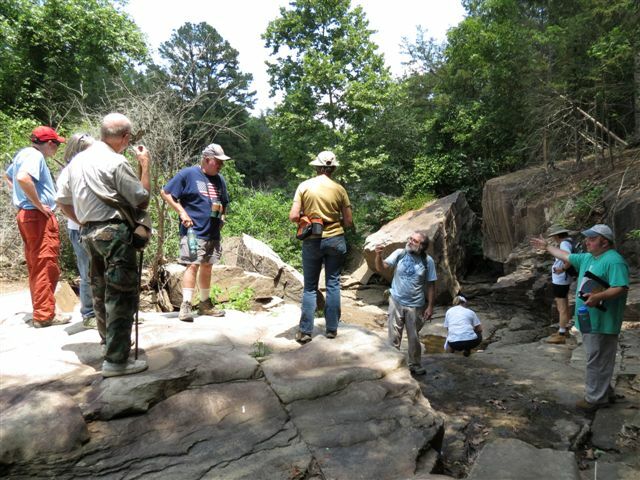 Participants pause in a bedrock-bottomed stream bed a short distance above Greers Ferry Lake. A nearby Eastern Hognose Snake, disturbed by all the activity, displayed its head-flattening defense before moving to its safe haven. 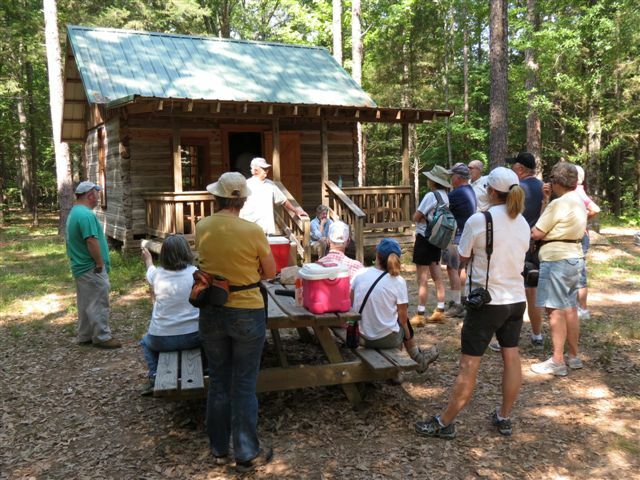 For information on the South Fork Nature Center, including its plants and trails, see www.southforknaturecenter.org. This entry was posted in Field Trips and tagged Brent Baker, Don Culwell, Don Richardson, Gates Rogers Foundation, South Fork Nature Center. Bookmark the permalink.